Why is Umbrella Insurance A Better Plan? Insurance is all about the transfer of risk from your bank account to an insurance company. When most people think about insurance they focus on the property risk; for example if I crash my car I want the insurance company to pay for the repairs. Most people are not aware that insuring against liability risk can be much more important. The more you have the more you have to lose! 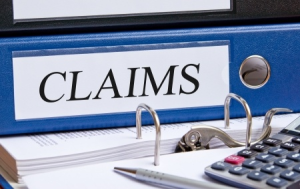 Liability coverage protects you from losing your savings, assets and income in a lawsuit. This can add up quickly and if you do not have high enough limits on your liability insurance you could be stuck paying for these out of pocket. If you do not have enough savings and assets you can sell off to pay for the judgement you could even end up having your wages garnished. Just consider the example of a 30 year old making $50,000/year who gets killed in an auto accident. The loss of income alone could easily come to $1,500,000 ($50,000/year x 30 years until retirement age) that would be owed to their family. How a Personal Umbrella Policy can fill the gap. 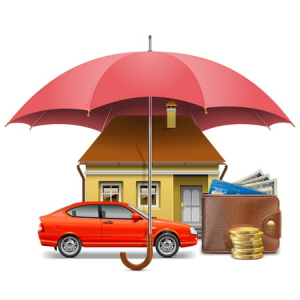 Your auto and home insurance can cover most of the liability claims that are likely to happen to you. Umbrella policies are more like life insurance in that you purchase the coverage not because it is likely that you will need it but because if you need it and don’t have it the consequences are huge. An umbrella policy adds an extra layer of liability coverage above your other policies and the coverage is added in $1,000,000 increments. If you have $500,000 of bodily injury liability on your auto insurance and a $1,000,000 umbrella policy then you would be covered for losses up to $1,500,000. When shopping your insurance consider what you have to lose compared to what you can save by choosing a cut-rate insurance policy. By now I think that everyone knows there are companies out there than might be able to save you 15% on your car insurance if you spend 15 minutes with them on the phone. What they don’t tell you is if after all of those savings you will have the coverage that you need. The average annual auto insurance rate in Washington is $1499. Saving 15% off of that comes out to about $150/year. Consider if you lost an auto accident lawsuit and your limit was just $15,000 short of what you owed. It would take 100 years for those savings to make up the difference. With so many financial responsibilities in life the cost of your insurance has to play a role in your decision. Just make sure you really understand what you might be giving up for savings that may not be as significant as you are lead to believe.